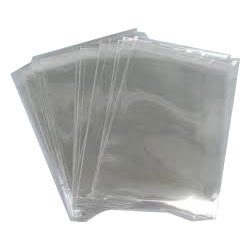 While climbing on the success ladder, it has become important for us to deliver precisely tested and high grade assortment of Transparent PP Bag. The offered bag is manufactured using optimum grade polypropylene material with the help of advanced techniques in compliance with set industry norms. Our offered bag is made available in different sizes and thickness to meet vast necessities of our clients in specified manner. This bag is used for packaging purpose in different packaging industries. Incorporated in the year 2015, at Rajkot (Gujarat, India), we “Atulya Poly Pack Pvt. Ltd.”, are known as the renowned Manufacturer, Trader and Supplier of an extended collection of plastic packing products. Our offered range includes HDPE Bag, PP And LDPE Fabric Roll, PP Bag, HDPE Roll and Plastic Tarpaulin. Our offered products are broadly appreciated by our clients and are extensively used in end applications like making grain & pulses bags, foods & spices bags, animal food bags, fertilizers & chemical bags, cement & wall finish bags, mineral bags, detergent bags, etc. The entire range is precisely designed by our skilled professionals using premium quality raw material with sophisticated technology in order to ensure its unmatched quality. Manufactured in compliance with predefined quality standards, these products can also be availed by our clients in various specifications as per the varied requirements of our clients. In addition to this, we provide the offered range of packaging products to our esteemed clients at market-leading prices.